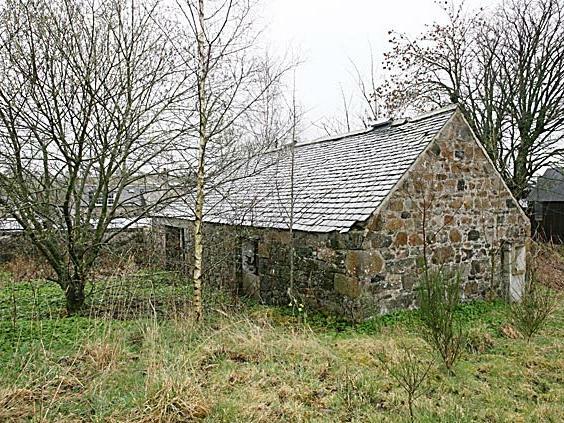 Plot with derelict barn with full planning permission for extension & conversion to a 3 bdrm dwellhouse with garage. Services available. Price over £85,000 Entry by arr. Viewing contact solicitors or go along to site. 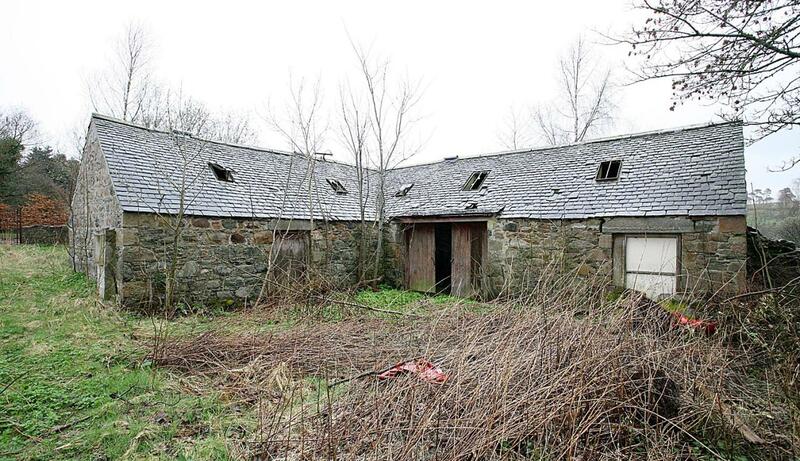 Disused Byre with Full Planning Permission for Extension and Conversion. An excellent opportunity has arisen to acquire this prime serviced building site which is situated within the charming village of Methlick and close to all it's amenities. 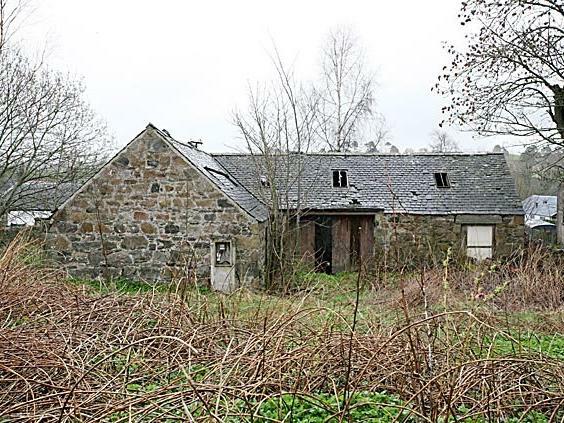 Full planning permission has been obtained for the extension and conversion of a derelict byre to form a substantial three bedroomed dwellinghouse and single garage. The completed property will have a natural stone frontage and slate roof and will be connected to mains water and drainage. 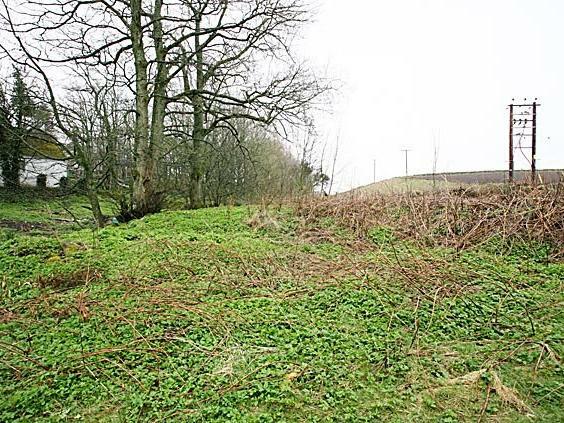 It will stand within sizeable grounds and enjoy fine views over the surrounding countryside. Methlick, a small village with a great community spirit, lies approximately 9 miles west of Ellon and is within easy commuting distance of Aberdeen (approximately 22 miles). There are a few shops, a hotel, a reputable primary school with secondary education at Ellon/Meldrum Academy. Planning Permission: Copies of the Planning Permission granted by Aberdeenshire Council on 28 August 2006, together with relevant plans are available for inspection through the selling agent's Ellon Office. The plans can also be viewed online at www.aberdeenshire.gov.uk/planning (Reference 2005/3773). Services: A public sewer has been installed - the purchaser will require to connect. The property will be served by a mains water supply - purchaser responsible for connection. Mains electricity and telephone are also available nearby - purchaser to connect. Directions: On approaching Ellon north along the A90 Aberdeen/Ellon road, proceed over the bridge and straight ahead at the roundabout onto Bridge Street. Take the first road on the left onto Station Road (signed Ythanbank/Methlick) and follow the signs for Ythanbank. On entering Ythanbank, turn left at the junction and continue along this road for several miles until reaching Methlick. The site can be accessed along a mutual lane which runs up the side of the Ythanview Hotel situated on the Main Street.